Every city has that special something that locals love and keeps visitors coming back year after year. Harrisburg is more than Pennsylvania’s capital, Hershey’s neighbor, or pass-through city along the Pennsylvania Turnpike. Take a peek at Harrisburg’s must-see attractions, fascinating history, and the quirky sights to see along the way. Museum Hopping: So much to see, so little time! Harrisburg is fortunate to have several museums filled with priceless artifacts and artwork that preserve the history of our state and our nation. The State Museum of Pennsylvania is the Commonwealth’s official museum and is affectionately known as the Smithsonian of Pennsylvania. From geology and prehistoric creatures, to Pennsylvania icons and inventions, to mammals, plants, and birds native to our region, this impressive collection of history fills three floors of exhibits. You can even reach for the stars with a show in their Planetarium or let the kids loose in the interactive Curiosity Connection playroom. Switching gears from the past to the present, the gorgeous Susquehanna Art Museum (SAM) is the city’s only dedicated art museum. 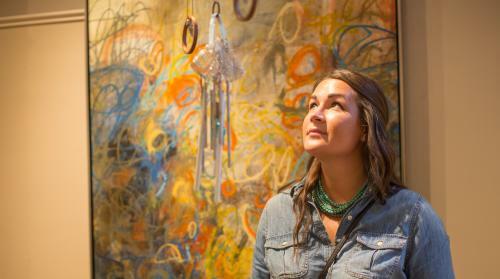 SAM doesn’t have a permanent collection, so there’s always something new to see when you visit, with curated works representing a variety of art styles and themes. Not just the art on the walls, the building’s architecture is a wonder with high ceilings and huge windows to let in natural light. SAM also educates the community and visitors about culture and art, and families with kids ages four and up can stop by on the weekends for an art class. You can also catch an intimate piano concert or a yoga class in their multi-purpose gallery spaces. Filled with an alluring mix of history, culture, and today’s trends, Midtown Harrisburg is a hip, welcoming community of artisans. The Millworks is a restaurant / craft brewery / art gallery housed in the beautiful architecture of a former city mill. Revitalizing this property and introducing a new class of farm-to-table food, Millworks is a Midtown must! Enjoy their incredible meals with locally and sustainably sourced ingredients, craft cocktails with fresh fruit and herbs, creative craft brews for any palate, and in-house art studios where you can watch painters and sculptors at work and shop their masterpieces. A true treasure trove for literary lovers is Midtown Scholar Bookstore & Café. With more than 200,000 books on its shelves, from today’s best sellers to academic texts and rare prints, it’s mesmerizing to walk the aisles. As a treat for its patrons, Midtown Scholar often hosts acoustic musicians, book talks and signings, and poetry readings on its intimate stage in the center of the store. This walkable cluster of attractions is anchored by the bustling Broad Street Market, the oldest continuously operating market house in the country, filled with a culturally diverse assortment of food vendors and goods. We recommend taking a lap around both Market buildings before deciding on what to eat. There’s certainly no reason to leave hungry. When you think hiking trails, your first thought probably isn’t Harrisburg, Pennsylvania. But we’re here to convince you otherwise! Harrisburg is the perfect size to provide city-life luxuries and conveniences alongside green spaces. Just 20 minutes from the concrete jungle you can step on the famous Appalachian Trail, take a nature walk, or hike around a lush tree preserve. You wouldn’t know it, but we have gorgeous panoramic outlooks, curious wildlife, and all the #nofilter scenery you can ‘gram. After you’ve spent the day in the great outdoors, kick back with a couple of cold ones at one of Harrisburg’s breweries who happen to have an affinity for the rugged outdoors. The aptly named Appalachian Brewing Company has a line of trail-inspired ales like Mountain Lager, Trail Blaze Maple Brown Ale, and Hoppy Trails IPA. When you’ve worked up a thirst and an appetite, choose something hearty from their impressive pub menu like the Original Harrisburger. Zeroday Brewing Company’s co-founder Theo thru-hiked the Appalachian Trail before starting up his craft beer business. And when you’re on the trail, a “zero day” is a day where you log 0 miles, reserved for recuperation and relaxation. Similarly, that’s the kick-back feeling they want you to have while enjoying their intriguing beers, like the flagship Mango Hab, brewed with a balance of fresh fruit and spicy habanero peppers. Located across from the Capitol in the middle of the Susquehanna River, City Island’s tiny plot of land is packed with classic family fun like home runs and hole-in-ones. AA affiliate of the Washington Nationals, the Harrisburg Senators invite fans young and old to root, root, root for the home team, and enjoy a hot dog or two. During the day, there’s a lot to do on the Island. We bet the 18-hole Water Golf course on the corner of the island is one of the most beautiful you’ve ever played with its botanical landscaping and calm river breezes. And you’ve no doubt seen red and white striped Pride of the Susquehanna Riverboat chugging along the water. This vessel is one of six remaining authentic paddlewheel boats in the country and offers passengers a delightful, relaxing river ride. Believe it or not, Harrisburg was on the shortlist to become the nation’s capital. You can think of a bid to become the capital, as the 18th Century version of landing an Amazon headquarters in your town! In the 1790s, there was strong sentiment toward moving the U.S. capital from Philadelphia to a city further inland to be more accessible to the new nation’s rural areas. Pennsylvania remained a favorable location because it sat right in the middle of the original 13 states. Harrisburg thrived because of its waterfront position on the Susquehanna River and its spot at a crossroads between two centuries-old North American Indian trails used for trade and transportation. The U.S. Government seriously considered the proposal of the Harris family, but ultimately, George Washington preferred that the capital be on the Potomac River instead of the Susquehanna. And the rest is history! 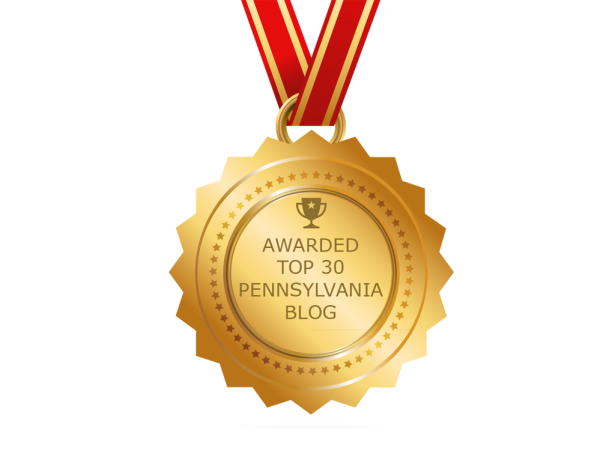 In 1812, Harrisburg was named the capital of Pennsylvania, a formidable consolation prize. Today, the State Capitol building in Harrisburg is a prominent feature of our city skyline, and we might be biased, but one of the most beautiful capitol buildings in the nation. Take a free guided tour, offered daily, and admire the beautiful rotunda and peek inside the House and Senate floors. There’s a spot at present-day Front & Paxton Streets in Harrisburg that served as a key intersection between two primitive North American superhighways, of sorts, and was one of the selling points of the city’s bid for the nation’s capital. The Allegheny Path ran east-west from the Ohio Valley to the Atlantic Ocean, and the Tuscarora Path ran north-south from the Great Lakes to the Carolinas, and both were established and used by the Native American Indians centuries before European Settlers arrived. The city’s access to these trade and transportation routes, as well as the success of Harris’ Ferry operation across the Susquehanna River, was vital to the growth of city’s early community. Both John Harris, Sr. and John Harris, Jr. were known to be trusted friends and trading partners of the Indians. Harris, Jr. would go on to found Harrisburg and build a prominent home along the Riverfront near the site of Harris’ Ferry, and just a few blocks from the trails’ intersection point. 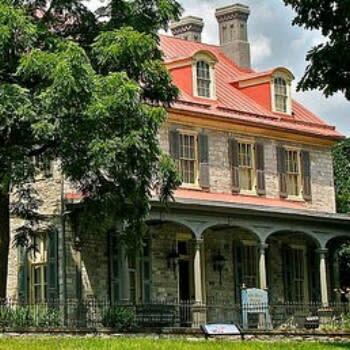 Known today as the John Harris-Simon Cameron Mansion, this historic home is open for public tours. Each year on Labor Day weekend, the City of Harrisburg hosts Kipona (meaning sparkling water), an end-of-summer festival filled with food, fireworks, family fun, but most prominently, Native American dancing, music, food, and crafts. Some people might scratch their heads as to why we’re celebrating a Native American heritage in Harrisburg, but now that you’ve learned about the historic crossroads, it makes much more sense, right? 3. Almost Captured By the Confederacy... Twice! During the American Civil War, Harrisburg was the capital of the second largest state in the Union and served as a prominent training camp and supply depot for the northern forces. Seizing control of the city would have been a big win for the Confederate army. General Robert E. Lee, commander of the Confederate Army of Northern Virginia, first targeted Harrisburg in 1862 but had to retreat into Virginia after the Battle of Antietam in Sharpsburg, Maryland. The second attempt came in June of 1863 when one of his divisions got as close as the western bank of the Susquehanna River. As the Confederate forces prepared to attack the city, General Lee ordered his troops south to meet the oncoming Union Army of the Potomac. The two armies clashed 40 miles south of Harrisburg on the battlefields of Gettysburg, a significant turning point in the war. 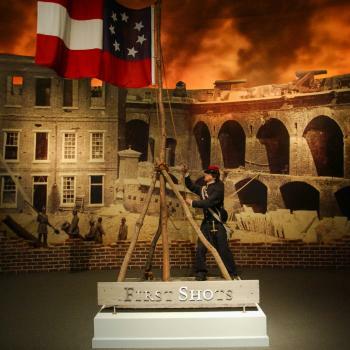 For a closer look at the Civil War, our own National Civil War Museum is a must-see and presents an unbiased account of the conflict as told from both sides of the battlefield. Their collection includes thousands upon thousands of artifacts large and small like weapons and artillery, uniforms and hats, photographs and letters, medical equipment and slave shackles, and more. The exhibits are heartbreaking, poignant, but ultimately inspiring when you reflect on how far we’ve come. 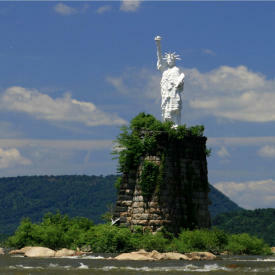 We happen to have our own Statue of Liberty who sits atop a perch in the Susquehanna River. But why? How? This Lady Liberty appeared mysteriously one day in 1986, capturing the intrigue of residents and visitors alike. Her spontaneous presence was so endearing that when the statue blew over years later, the community pulled together to erect a replica of the replica, which stands on the old bridge pillar today. Our Statue of Liberty is one-sixth the size of the New York original, standing 25 feet tall. Intermediate to experienced kayakers can stop by Blue Mountain Outfitters for information on the best route to approach her by water. Everyone else can catch a glimpse of her while driving along the Dauphin Narrows on Route 322. Sprocket Mural Works is on a mission to beautify the city of Harrisburg with colorful and cultural artwork. From unique canvases like electrical boxes, fire hydrants, and giant duck statues to head-turning building murals, there’s no denying the impact that art can have on the spirit of residents and visitors alike. It’s free to walk around mural-spotting! Stay tuned in 2019 for more fresh works, giving art lovers a 2-mile trail to explore.